The Center for Accountability in Science | Does Coffee Cause Cancer? Home ⁄ Periodic Fables ⁄ Activist Groups ⁄ Does Coffee Cause Cancer? Yesterday, a California court decided that coffee served in the state must come with a cancer warning. As it turns out, the venti-sized scare doesn’t have much grounds in science. A law called Proposition 65 is responsible for requiring the cancer warnings. 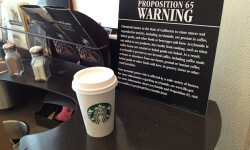 Prop 65 requires any business with 10 or more employees that sells products in California to warn their customers about the presence of close to 900 chemicals “known to the state of California to cause cancer, birth defects, or other reproductive harm.” For coffee, that chemical is acrylamide. Brewed coffee contains anywhere from 3 to 13 parts per billion of acrylamide, a flavorless chemical naturally produced when coffee beans are roasted or foods like bread and potatoes are cooked at high temperatures. 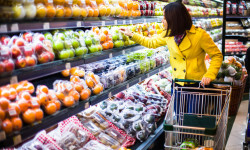 According to the National Cancer Institute, even though acrylamide increases the risk of cancer in rodents, we don’t have evidence that foods containing acrylamide cause the disease in humans. Most recently, two studies tracked the coffee intake of more than 600,000 individuals over 16 years. Researchers concluded that coffee drinkers have a lower risk of death from heart disease, diabetes, and yes, even cancer. 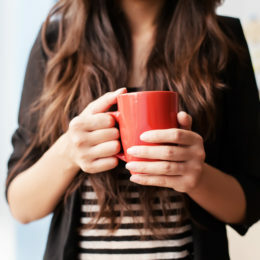 Even those who drink more than four cups of coffee every day aren’t at greater risk. So acrylamide might cause cancer but coffee certainly doesn’t. Yet because acrylamide is listed under Proposition 65, coffee retailers are now required to serve up their brews with a cancer warning. 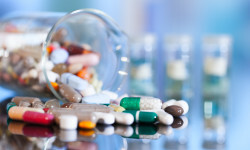 In fact, as the American Cancer Society explains, many of the chemicals listed on Proposition 65 haven’t been proven to the worldwide scientific community to actually cause cancer. Coffee is far from the only product that’s been unfairly hit by California’s backwards law. In fact, since Prop 65 is enforced by lawsuits rather than the government, it’s become pretty profitable for lawyers to make a career suing businesses over the warnings. The Council for Education and Research in Toxics (CERT) which originally filed the coffee lawsuit, earned over $240,000 in two previous Proposition 65 settlements. Check out Prop 65 by the Numbers and Prop65Scam.com to see how businesses lost close to $285 million over the law since 2000. 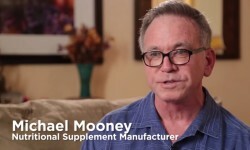 The Center for Accountability in Science has interviewed some of these business owners who, like Starbucks, have been hit with a Prop 65 lawsuit despite their products being perfectly safe. You can see three of their their stories below. 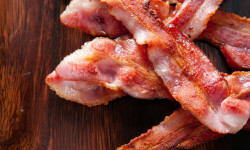 Does Eating Bacon Really Cause Cancer?